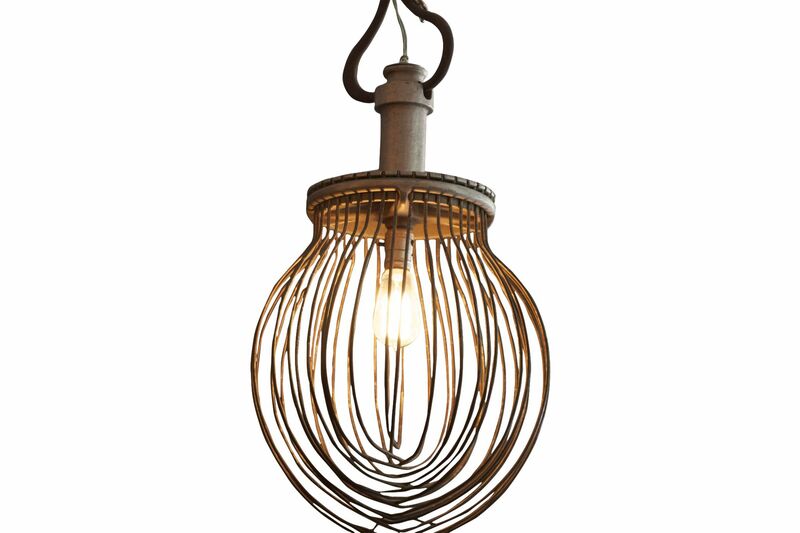 Vintage reclaimed whisk pendant light. Fantastic for a baker's kitchen. The cord length can be easily be modified. 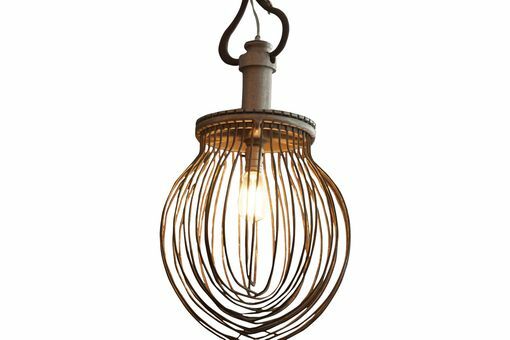 Like what you see but need something different? Let us know. We'd be happy to design your own one-of-a-kind piece with you.